As if there were not enough good reasons to vaccinate your child against measles, researchers have found another. It appears that a serious complication of measles that can happen years after the initial infection is not as rare as once thought, although it is still very rare. A deadly condition called subacute sclerosing panencephalitis (SSPE) is a progressive brain disorder that is usually fatal. It can occur years after the original measles infection and causes gradual behavioral changes, muscle spasms, bizarre behavior, dementia, seizures, and coma. The condition is always deadly, but people who develop it often die within one or two years after they are diagnosed. SSPE was thought to be exceedingly rare, only happening to upwards of 1 person in every 10,000 people who had caught measles. But now, researchers at UCLA’s David Geffen School of Medicine say that the rate appears to be 1 in 609 cases in those who were babies and had caught measles before they were vaccinated. This increase in the rate means that SSPE is still a very, very rare condition. But the researchers also noted that the risk may actually be higher because there may be cases that are not being correctly diagnosed. SSPE is thought to be caused by an abnormal immune response to a measles infection that has persisted in the body but that had lain dormant. This type of a persistent infection may be due to a mutated strain of the virus or to a genetic difference in the person. SSPE seems to be more likely to occur in people of Asian ancestry and in boys or men, according to the UCLA researchers. Many of the patients had been having cognitive or movement problems for a while before they were diagnosed with SSPE. The biggest problem with measles is that it is highly contagious and can cause serious complications. It is preventable with vaccination. Measles vaccine is one part of the MMR vaccine, which also contains vaccines against mumps, and rubella (German measles). Measles is a serious illness and can cause serious diarrhea, blindness, deafness, and inflammation of the brain. It can also lead to viral or bacterial pneumonia, which is what usually causes death when death occurs with measles. The measles virus is so contagious that 90% of unvaccinated people will catch it if they are exposed to it. From December 2014 through April 2015, there was an outbreak of measles that started at Disneyland in Anaheim, CA. That outbreak sickened 147 people in the United States and another 150 in Canada. Most of those who caught the virus were either not vaccinated or were babies younger than when measles vaccine is usually given. Given this new rate of SSPE cases, it is still unlikely that any of those children who were infected will develop it. Although the Disneyland outbreak got a lot of press, there were fewer cases of measles in the United States in 2015 than in 2014, when there were 667 cases. The key to preventing measles, and thus preventing SSPE, is to vaccinate as many people as possible. Children cannot get their first dose of measles vaccine until they are around 12 months old. They should get a second dose around age 5, just before they enter school. Some people cannot be vaccinated because they have immune system disorders or other medical reasons. Babies and adults who cannot be vaccinated need to be protected by herd immunity, which occurs when enough of the population has been vaccinated against a disease to prevent it spreading to the few people who remain susceptible to it. Because measles is so very contagious, about 95% of the population must be vaccinated against it for herd immunity to exist. Unfortunately, in recent years many parents have chosen not to have their child receive routine vaccinations such as MMR because of unfounded belief that the vaccine is connected to autism. In 2014, the percentage of American children aged 19 to 35 months who received the MMR vaccine was 91.5%, according to the CDC and is lower than that in some states. If you are considering not vaccinating your child or delaying vaccinations, you are putting your child at risk for catching measles if there is another outbreak. You are also putting other people’s children at rick by preventing the herd immunity that helps protect them. 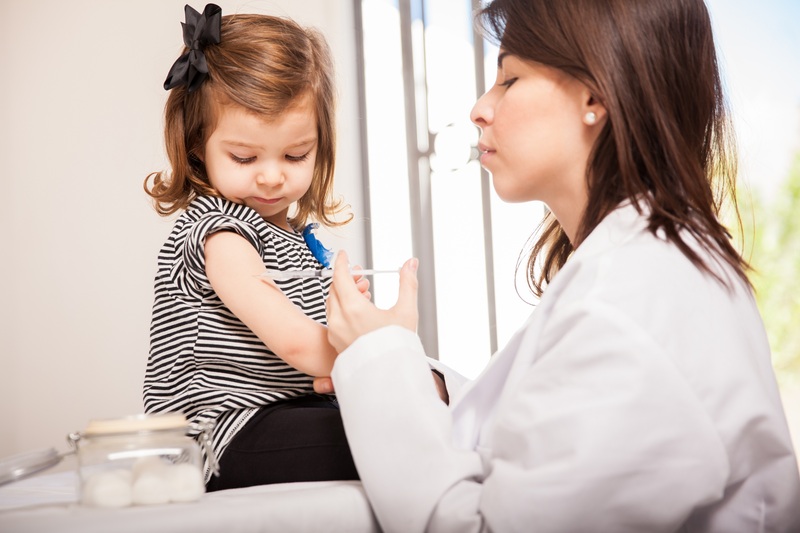 Talk to your child’s pediatrician or healthcare professional. Valerie DeBenedette is an experienced health and medical writer who lives about an hour north of New York City with a dog that is smaller than her cat. Her work has appeared in magazines, newspapers, newsletters, and on websites. She is a member of the National Association of Science Writers. Which Vaccines Should I Get When I Am Pregnant? Should you Get Vaccinated During Pregnancy? What Vaccines Should My Baby Get? What is a Pregnancy Registry & Why Should I Be in One?